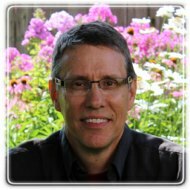 Arden Hills Therapist: Thomas King - Therapist 55112. Send A Message To Thomas. Do you need help to feel good again? Do you want to rekindle love in your relationship? My approach to therapy and coaching is holistic and designed to help you learn to live in a way that is healthy and congruent with your personal strengths, values and/or faith. I will help you know and accept yourself on a deeper level and find solutions that are right for you. You can learn to live your life with purpose and passion rather than being stuck in patterns thought and behavior you were conditioned to believe and follow. My professional journey includes many years in direct clinical work as well as consulting and coaching in the corporate world. Following my passions has led me to develop my expertise as a therapist and start a private practice in 2001 and to also become certified as an executive and leadership coach. Both of these disciplines influence the way I think and work with you to discover your strengths, achieve your goals, and deal with any deeper issues that may lead to self-defeating patterns of behaviors. Another specialty is marriage and relationship counseling or coaching. Great marriages don’t just happen any more than a business can just run itself. They require investments of time and attention and high levels of maturity. I have worked hard to develop effective and practical options to help couples improve their relationships, including face to face counseling, an online home study course, and my new book, Date Night Conversations. You can find more information about these resources at www.gifcounseling.com Call me today for a FREE consultation.